The UK and Saudi Arabia have signed a new military cooperation agreement, indicating the pair's controversial "special relationship" is set to continue - although a legal expert has told Sputnik Westminster's role in supplying Saudi-led coalition forces in Yemen opens up the UK to potential international legal action. 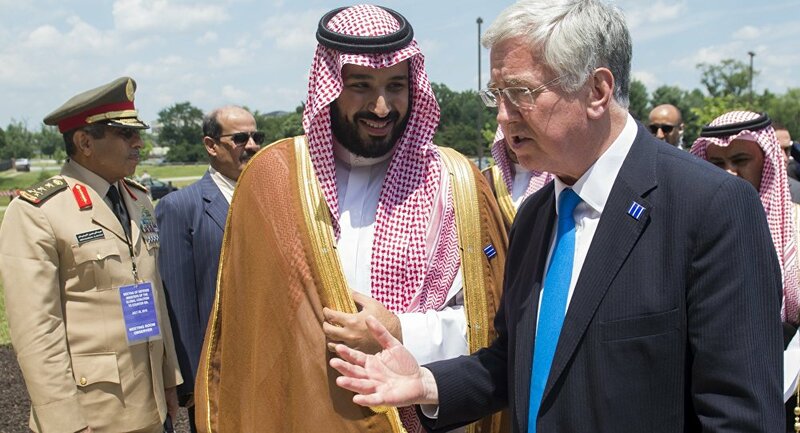 UK Defense Secretary Sir Michael Fallon and Saudi Crown Prince Mohammed bin Salman met in Jeddah, Saudi Arabia September 19 to sign a new Military and Security Cooperation Agreement. Full details of the agreement have not been disclosed, but it is said to further cooperation between the two countries in security and defense, and help Saudi Arabia "better protect" its national security. The inking is a clear indication the much-criticized and controversial "special relationship" between the UK and Saudi Arabia is set to endure to the foreseeable future, despite calls from MPs and humanitarian organizations to end UK arms sales to Riyadh, which are fueling the Saudi-led coalition's war on Houthi rebels in Yemen. In July, the Campaign Against the Arms Trade's (CAAT) legal challenge against the exports was knocked by the UK High Court, with Lord Justice Burnett concluding it had not been established that there was "a clear risk" items sold by the UK might be used in breaches of international humanitarian law. Despite these claims, between March 2015 and March 2017, the UN verified 216 attacks on education facilities, including schools and education personnel. Evidence at the scene of massacres indicates many were carried out using UK-made weapons, including Raytheon's laser-guided Paveway IV smart bomb. Moreover, Haydee Dijkstal, an attorney in international human rights law, notes "war crimes" and "crimes against humanity" are still being committed by the coalition — and the UK government could face criminal charges as a result. "Weapons are still being supplied that are contributing to these crimes. There is the possibility the UK could be investigated under international criminal law, at the International Criminal Court — although the requirements imposed by the ICC present some challenges in demonstrating the UK is responsible," Ms. Dijkstal told Sputnik. She explained the UK could be held accountable not as a direct perpetrator, but as an aider and abettor — in order to demonstrate this, it would have to be shown the UK took actions that had a "substantial effect" on the commission of war crimes. "It is difficult to prove though that individuals in the UK not only knew they were selling weapons that could be used in the commission of crimes, but it was also done expressly for the purpose of committing those crimes. There's an argument to be made however that if government officials were made aware they were supplying weapons being used to commit crimes, they become effectively conscious abettors by continuing to supply the weapons," Ms. Dijkstal continued. 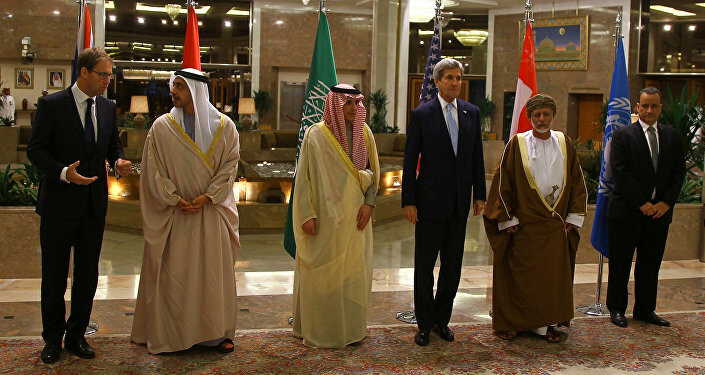 In any event, the fresh agreement comes mere days after charity War Child UK revealed British arms companies have earned over US$8 billion from trade with Saudi Arabia during the ongoing war in Yemen, almost double previous estimates — while only around US$40 million has been reaped by the British public via corporation tax receipts, despite profits running to around US$800 million. The tax take equates to significantly less than a dollar per head of the UK population. ​The charity accused firms such as BAE Systems and Raytheon of "profiteering from the deaths of innocent children" by selling missiles and equipment to the Saudi-led coalition. "Thousands of children have died and millions more are at risk. The government is shamefully complicit in their suffering and justifies it with promises of economic prosperity, which [our] report embarrassingly discredits," said Rob Williams, Chief Executive of War Child UK. ​Moreover, the charity estimates humanitarian aid to Yemen far eclipses tax-take from the weapons that have sustained the crisis — weapons sales to Saudi Arabia generated just US$17 million in corporation tax in 2016, yet during 2017 the UK will send US$188 million in aid to Yemen, four times what the Exchequer receives back in tax. BAE Systems and Raytheon were among the exhibitors at the September 12 DSEI arms fair in London, supported by government ministers and senior military commanders. Among them, Liam Fox, the International Trade Secretary, defended the "ethical" trade at the event, telling delegates Britain's licensing system ensured exports were always lawful and the UK did not violate international law.